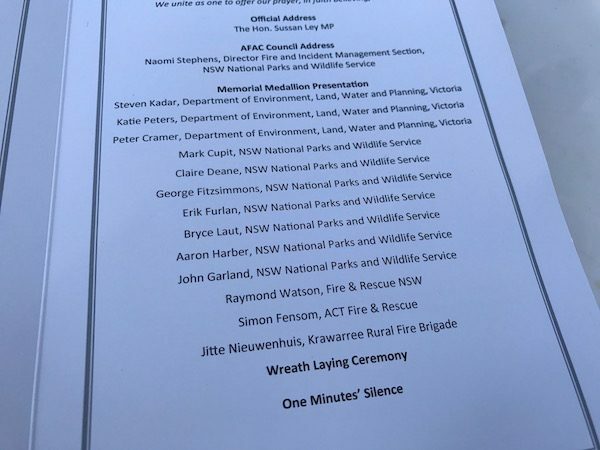 Canberra firefighter Station Officer Simon Fensom, who died last October of cancer related to his work as a firefighter, was among those remembered this morning at the annual National Memorial Service for Fire and Emergency Services Personnel recognising workers who have died in the service of their community in the past 12 months. 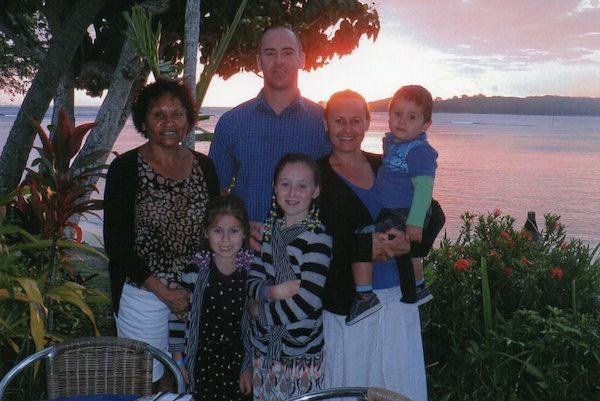 Station Officer Fensom, pictured above and below with his family, was 43 years old when he died after a long illness, and had most recently served at the Fyshwick fire station. He is survived by his wife, Lisa, and three children. 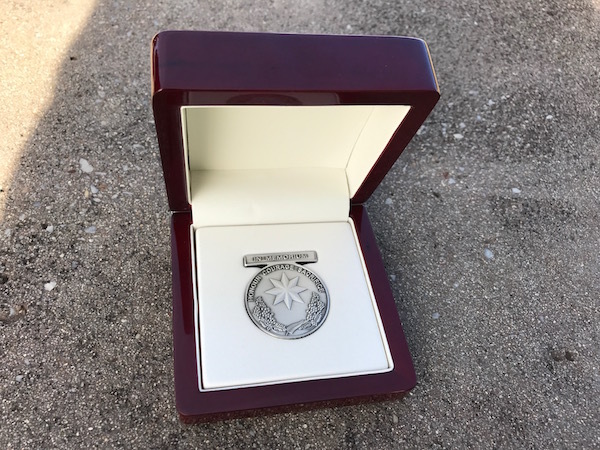 Acting Commissioner of the ACT Emergency Services Agency Mark Brown said after the ceremony that Station Officer Fensom had been highly respected amongst his colleagues during his career as a firefighter and had been recognised with the National Medal for 15 years continuous service prior to his death. He had graduated as a trained firefighter in March 1998. “[Today’s] ceremony gives a chance for the family to see that he is recognised by everyone around Australia,” Acting Commissioner Brown said. 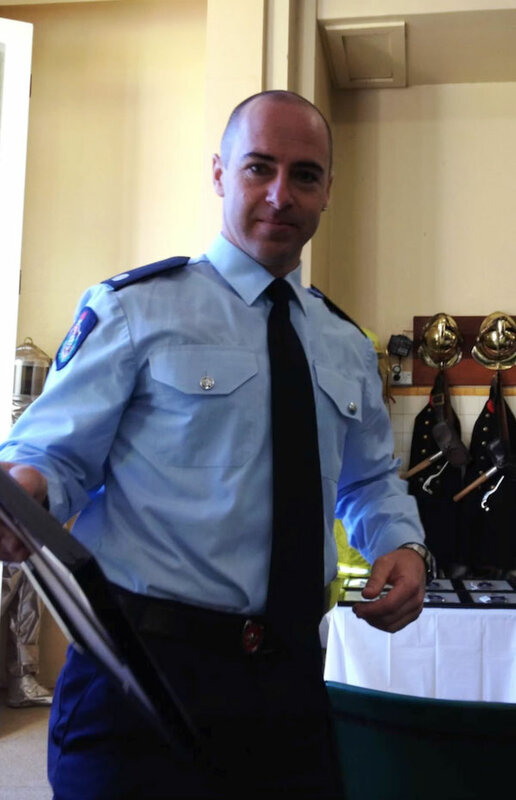 Acting Commissioner Brown said that Station Officer Fensom’s illness had been “long and difficult”, and was directly related to his career as a firefighter. “Firefighters are at greater risk of cancer because of the type of tasks that we do and the exposures that we take along in our careers, and I think Simon’s recognition today is the first time a firefighter who has passed away from a cancer-related illness has been recognised at the memorial,” he said. He stressed that being a firefighter was “a lot safer these days than it used to be”. “A lot of protections are in place, breathing apparatus, a lot of health monitoring, a lot of psychological support for firefighters in facing the trauma that they face almost every day,” the executive said. 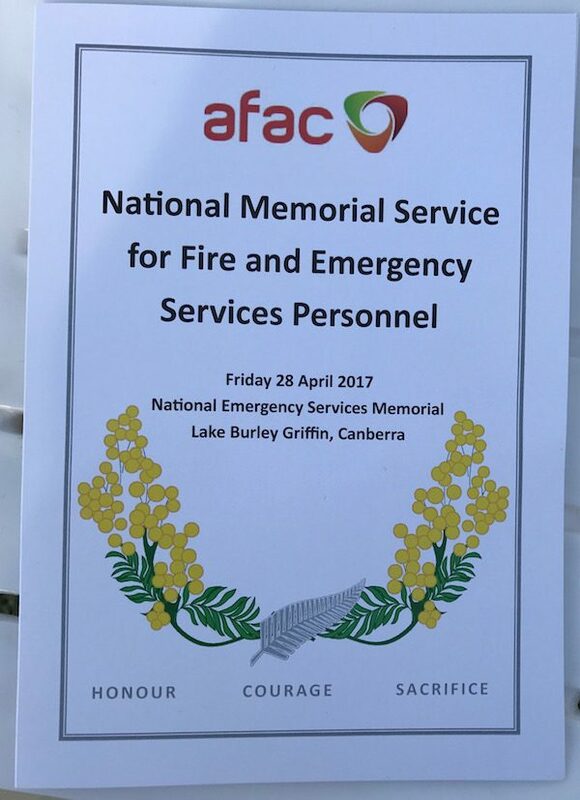 ACT Fire and Rescue Acting Chief Officer Pat Jones said he hoped today’s ceremony would give the wider community a greater understanding of the work of firefighters and emergency services staff. “Behind the scenes there’s a lot of work that firefighters do, a lot of training, maintaining their fitness, maintaining their mental fitness as well, and I’m hoping the community recognises that a lot of work goes in for what is a very difficult and challenging job, and I hope that the community respects what we do,” he said. He acknowledged the service of Station Officer Fensom, and the loss for his family. “Simon had a promising career in front of him,” Acting Chief Officer Jones said. The Fire and Rescue chief noted that Station Officer Fensom was survived by a large family including wife Lisa, two daughters and a son. 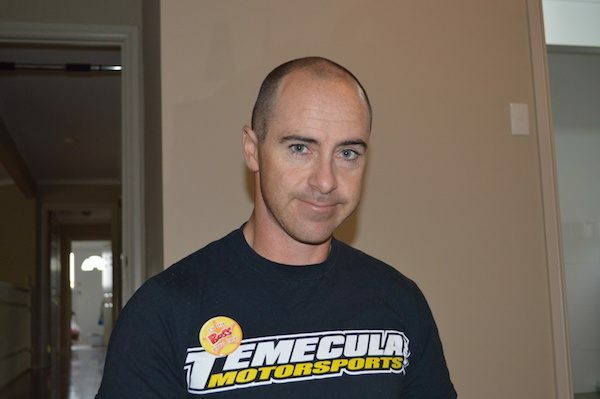 “Simon was a Queanbeyan boy with a very large family at Queanbeyan … he’s left a lot of people behind,” he said. He added that another ACT Fire and Rescue firefighter had died yesterday, again succumbing to cancer, though it was not yet known whether there was a connection between the illness and the firefighter’s career. “It’s something that happens all too regularly for us, so this is a pretty raw event,” Acting Chief Officer Jones said.